Effective marketing is essential to the success of every organization. In fact, anyone who is offering a product or service will benefit from having a marketing brain on their team. Formerly taught as a supplemental module to a business degree, marketing is now taught at universities as a discipline in its own right. Ever found yourself looking at an advertising campaign and thinking you could do better? Regularly get excited about the latest social media innovations? Pride yourself on your strong communication skills, especially when it comes to persuasion? Then marketing degrees could be for you. First of all, what is marketing? Essentially, marketing is the process of communicating the value of a product or service to potential customers, in order to sell that product or service. It involves anticipating, managing and satisfying demand for products and services, and promoting an organization’s ability to do so to their target market. Effective marketing involves examining every aspect of the business, and analyzing the customer’s experience at each stage of the sale. As a marketer, you’ll help organizations to identify and understand their customers, and come up with ideas to communicate the benefits and unique selling points of the organization’s product or service. At undergraduate level, marketing degrees are available both as a BA (Bachelor of Arts) or a BS (Bachelor of Science). The main difference between a Marketing BA and a Marketing BS is that a BA involves more of an emphasis on humanities, while BS focuses more on the scientific, mathematical and technological aspects of the subject. Typically marketing degrees last three to four years at bachelor’s level, but in some countries it is possible to do a two-year associate’s degree (also called a foundation degree) and still qualify to work in a marketing position. A bachelor’s degree is generally more likely to lead to higher paying jobs with more responsibility. Marketing degrees are usually taught using a combination of lectures, tutorials or seminars, case study analyses and market research projects, with coursework and exams used for assessment. Some marketing degrees also include the opportunity to gain professional accreditations from organizations such as the Chartered Institute of Marketing (CIM), the Communication Advertising and Marketing Foundation (CAM), PRINCE2 and Google Analytics. Marketing degrees usually commence with compulsory modules covering key marketing topics such as advertising, business accounting and finance, communications, management skills, professional and personal development, marketing psychology and decision science, business ethics and law, campaign management, statistics and online marketing. Also known as e-marketing, internet marketing or digital marketing, online marketing is the application of marketing principles and techniques to the internet and online media. It includes both direct-response marketing and indirect marketing elements, and carries the major benefit of having a potentially global reach. Specialize in online marketing and you’ll explore the concepts and tools required to plan, deliver and track an effective online marketing campaign. You’ll be looking at e-marketing and social media from a strategic perspective, with a focus on specific technologies and tactics that could be relevant to a campaign, and how different online tools can be used to connect businesses and organizations to their customers, and ultimately sell their product or service. The field of consumer behavior blends elements from psychology, sociology, social anthropology and economics, in an attempt to understand the decision-making processes of buyers, both individually and in groups. If you study consumer behavior as part of a marketing degree, you’ll also cover topics such as relationship marketing, consumer retention and one-to-one marketing. You’ll develop a strong understanding of consumer psychology – a branch of psychology that addresses the influence of thoughts, beliefs, feeling and perceptions of a consumer’s buying decisions. Related to the consumer behavior field, decision science operates on the basis that human cognition, decision-making and choice are computational processes, carried out by the neural hardware in our brains. Like many aspects of marketing, decision science integrates a wide range of disciplines, developing managerial, economic and societal perspectives of marketing. If you specialize in decision science, you’ll learn techniques and theories that remove the guesswork from marketing decision-making, allowing businesses to maximize sales, optimize advertising, and better manage their brand and communications. Marketing science is a similar field, based on the application of scientific methods and experiments to the solution of marketing problems. You’ll create mathematical models and simulations and learn about techniques that help create the optimal solutions for marketing problems and objectives. As you’d guess, international marketing approaches marketing at global level, recognizing that there are differences in consumer behavior, values and needs in different world regions. Specializing in international marketing will mean looking into the marketing issues that can arise during the export, franchising, joint venture or full direct entry of an organization into a new region. You’ll learn about understanding regional differences, how to use existing marketing strategies effectively in new markets, how to carry out market research on a global scale and how to evaluate the cost-effectiveness of marketing in different locations. Commonly offered as a joint degree or combined honors degree, fashion and marketing looks at the business and financial side of the fashion industry, and how marketing principles and strategies apply to fashion products. You’ll learn how to conduct fashion marketing research and about fashion marketing and brand communication, multi-channel marketing management, international fashion communication, the fashion industry market, and trend forecasting. You may also have the opportunity to gain hands-on experience in the fashion industry, working on professional projects. Like the multi-billion dollar global soccer industry, there are many sports in which marketing plays a central role, connecting fans, players, supporters, stakeholders and a huge range of products and services. Specializing in sports marketing involves understanding all the marketing tools used in sports branding and promotion. You’ll learn how to achieve growth and interest in a sports brand, organization or product. You’ll find out how sports merchandise can be marketed most effectively using analysis of buyer behavior. And you’ll also learn how sports can be used to market a variety of other products – from credit cards to fast food, and perfume to insurance. Many business degrees include a pathway in marketing. Within a degree in business management with marketing, you may study business ethics, business law, and business planning. You will gain a broad and thorough understanding of the rapidly changing environments of business and market promotion, and you will learn about human resources, managing in a global context, operations management, information systems, business decision-making and marketing strategy and research. Other marketing topics you may choose to specialize in include: advertising research, business-to-business marketing, integrated marketing communications, luxury brand management, public relations, sales management and operations, social marketing and statistical applications. When it comes time for you to choose from the vast array of marketing careers, or careers that benefit from a marketing degree, keep in mind that it can be difficult to get a marketing position without some type of degree or certificate. That being said, work experience counts for a lot in the marketing world, so make sure to actively develop transferable skills during your degree. Many institutions also allow flexible learning so students can work part-time, while some universities also offer sandwich year courses for students to undertake one-year work placements (such as interning for a marketing agency). Some also offer the chance to spend a year abroad, either studying or working. A marketing manager is in charge of the marketing strategy of a company or organization. You’ll be responsible for developing and maintaining marketing strategies that meet agreed company objectives and overseeing all marketing, advertising and promotional staff and activities (as such you may also be called an advertising manager or product manager). You’ll need to identify potential markets, estimate demand and promote brands, products or services. As a marketing manager, you may need to manage a number of other departments, ensuring they work together to maximize profit by adjusting operations according to the market demand. This role usually requires a master’s level degree, and/or relevant professional experience. A marketing executive, also known as a marketing officer or coordinator, supports the marketing manager, helping to develop specific marketing campaigns. This may involve dipping into the fields of advertising, public relations, events, product development and distribution, sponsorship and research. Depending on the size and sector of your organization, your focus will be to sell the product/service or raise awareness of an issue. Daily tasks could include liaising with stakeholders and customers, communicating with target audiences, sourcing advertising opportunities and placing adverts, managing the production of marketing materials, writing and proofreading copy, liaising with designers and printers, organizing photo shoots, updating customer databases and managing budgets. One level down from a marketing executive, a marketing assistant again contributes to the creation and tracking of campaigns. 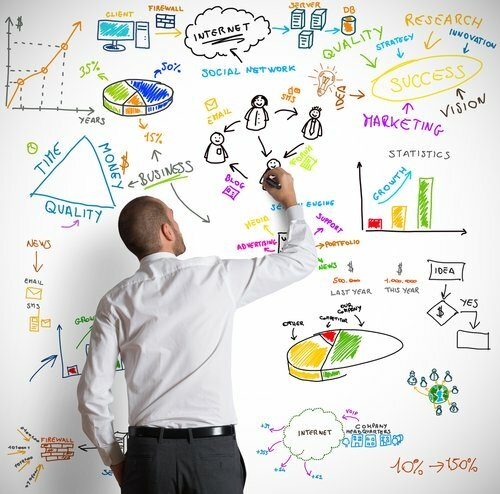 Tasks could include organizing and analyzing market research, compiling financial and statistical information such as budget spreadsheets, writing press releases, reports and company brochures, arranging promotional events, assessing the results of marketing campaigns, assisting the marketing manager in writing reports, helping to drive online traffic by producing online content, liaising with external agencies and communicating with clients. A sales manager supervises a team of sales staff. As sales manager, you’ll strategically divide up territories or sectors of the target market among the sales team members, making sure the members are fulfilling their quotas. You’ll also hire and train new sales team members, manage incentives programs, develop marketing campaigns and make sure sales plans are implemented and sales targets are met. An advertising manager may apply their marketing knowledge to work in the field of account management, if they did a business-focused marketing degree, or in the creative side of advertising, if they did a humanities-focused marketing degree. As an account manager you will be in charge of overseeing the smooth running of an advertising or marketing campaign, from briefing designers to managing budgets and maintaining good relationships with clients. You’ll often manage a portfolio of accounts, using contacts to generate new business and engaging in product management tasks. As an advertising manager you will develop, implement and manage your company’s advertising strategy from a business, sales and technical perspective. You will need to initiate and manage discussions and sales with sponsors and agencies, negotiate agreements, manage the development of sales materials including media kits, and be generally responsible for the management of a group of advertising representatives. A marketing consultant position usually requires at least two years’ experience in the marketing industry. As an industry expert, you will use your marketing knowledge to advise and guide your clients in making informed decisions. You’ll manage campaigns, analyze data and write reports, prepare proposals, design and carry out market research, develop communication strategies, develop product quotes and keep the marketing department updated on your findings and recommendations. Further marketing careers and related roles include: brand management, business development, customer relationship marketing, international marketing, copywriting, market research, marketing communications, photography, design, product development, retail management and sales advisory. The potential employment sectors for marketing graduates are immense, covering every sector of society from consumer goods to non-profits and from leisure and tourism to multinational business development.